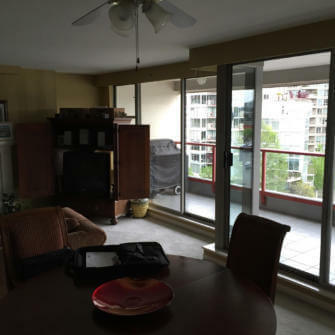 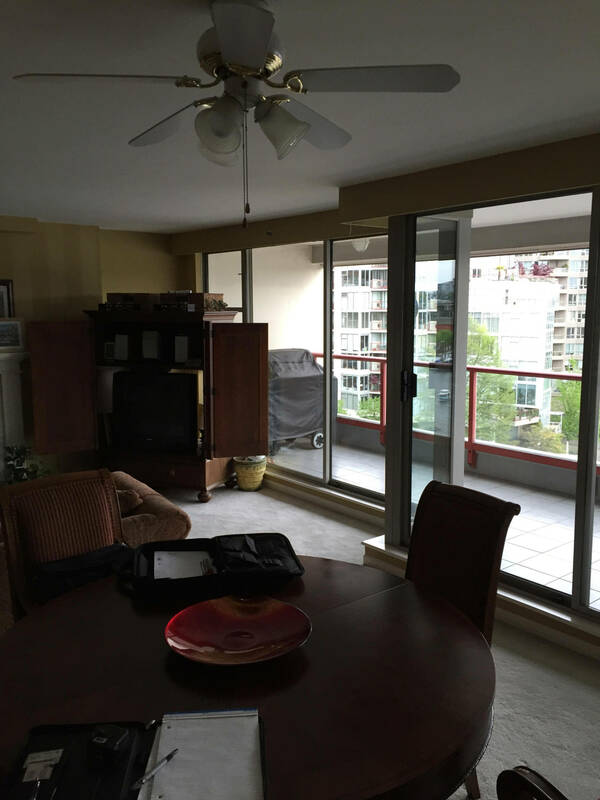 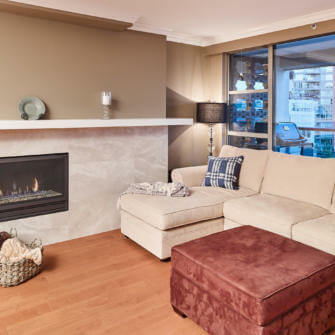 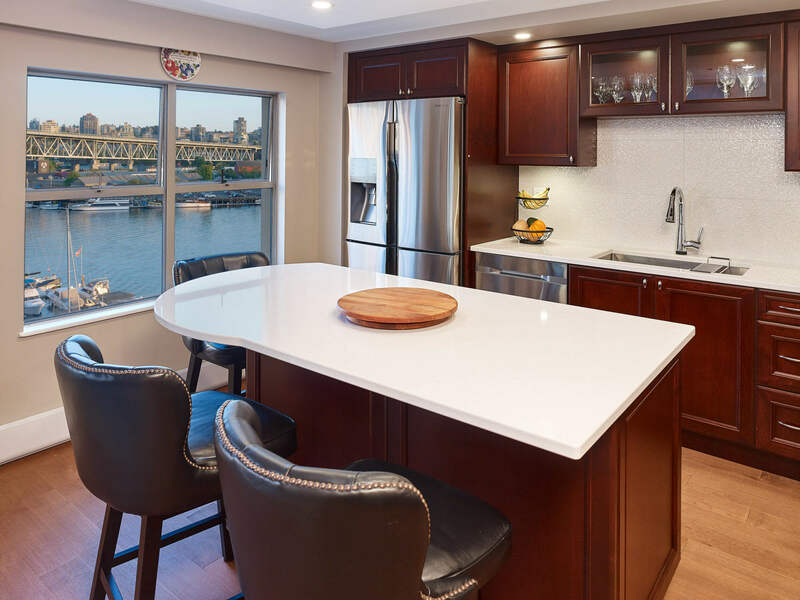 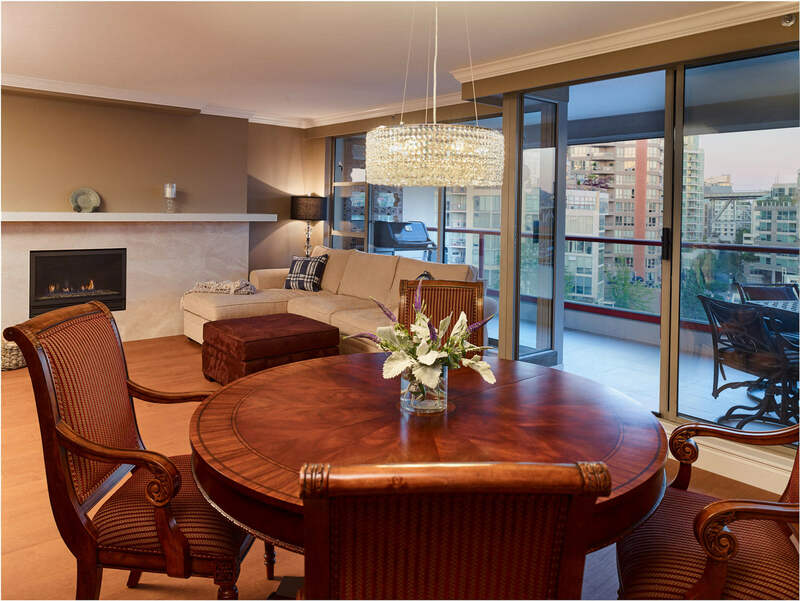 A location any vancouverite wishes for, this well lived in condo needed a full condo renovation to match it’s chic harbour location. 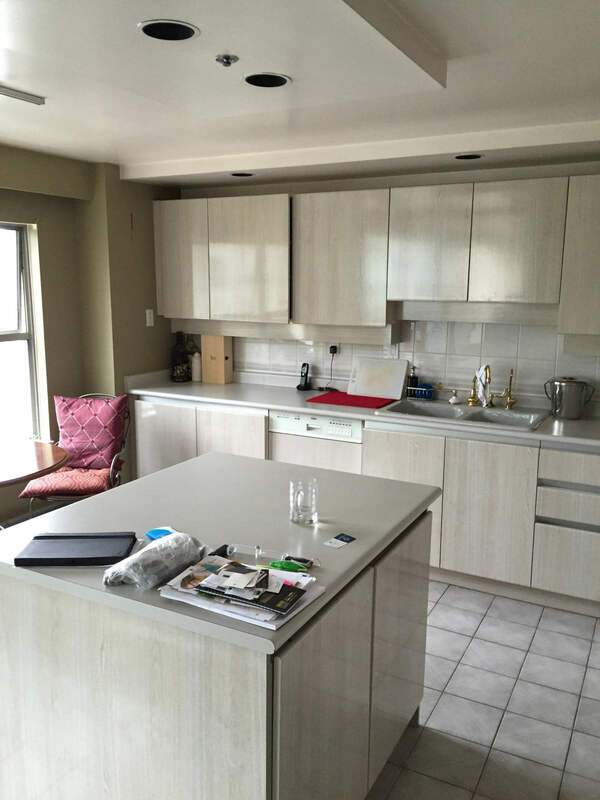 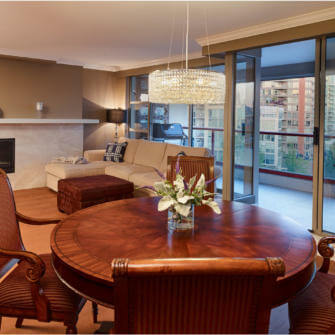 The condo went from one tenant to a couple which was the renovation catalyst. 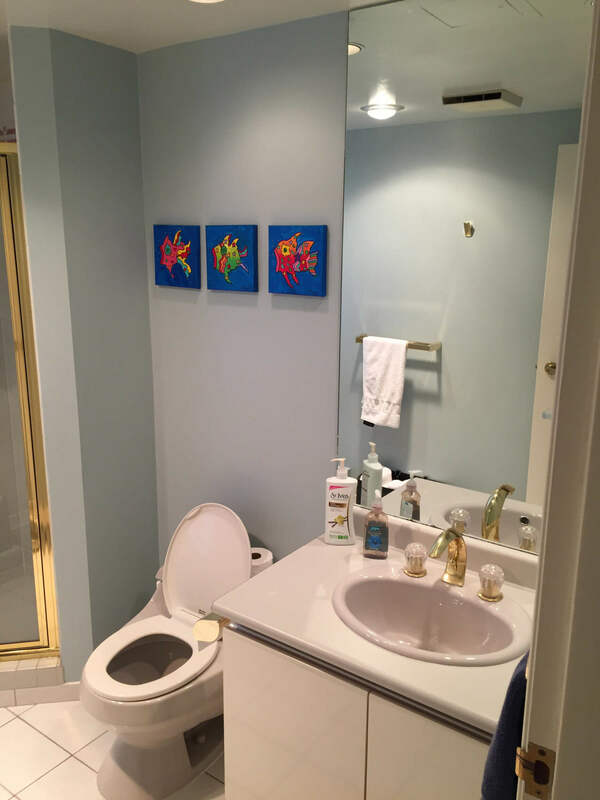 Both clients wanted a refresh to match their preferences. 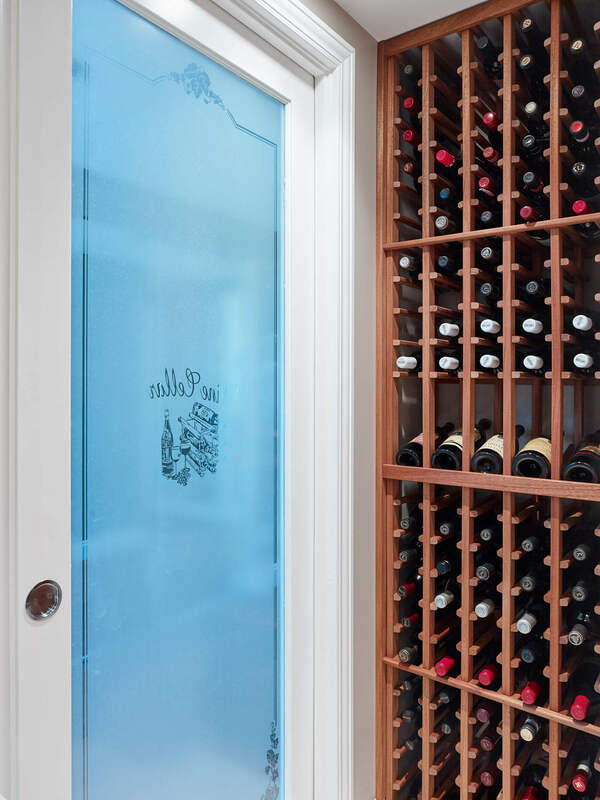 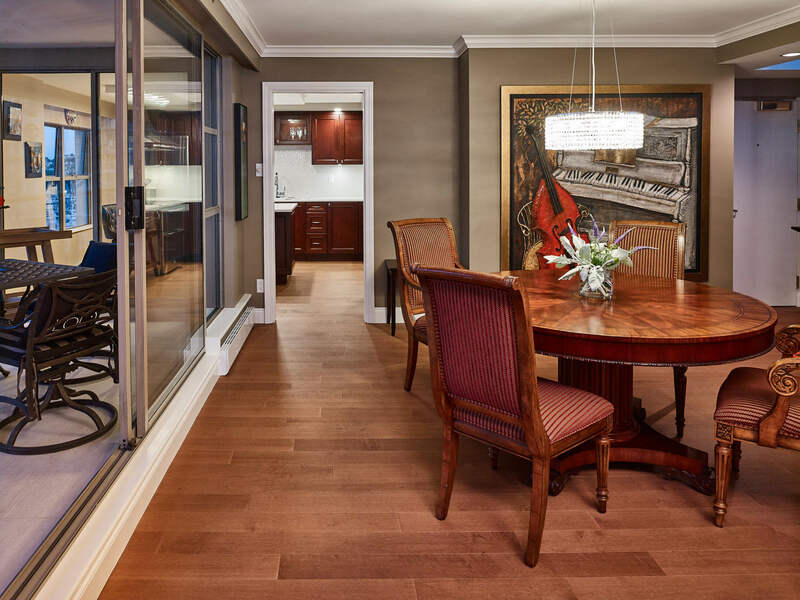 With shared interests in wine and entertaining, a chic entertainment space was essential. 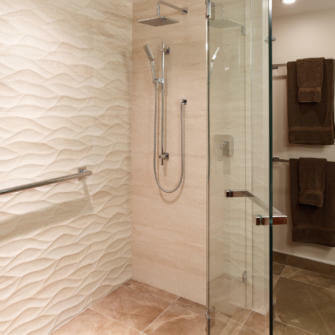 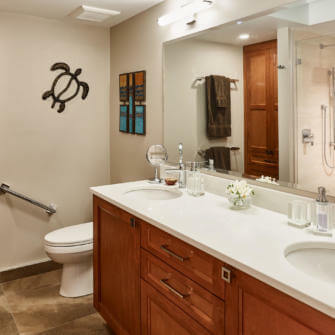 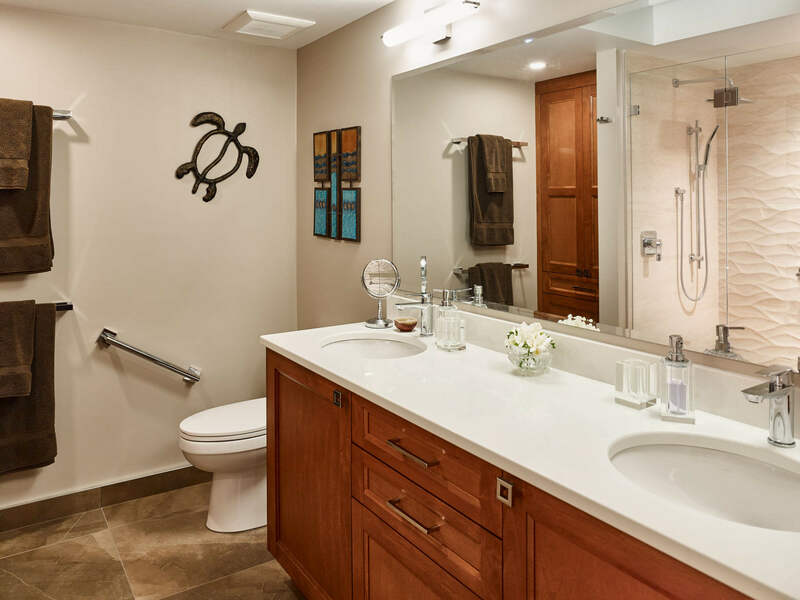 We removed the bath in master ensuite to make way for a stylish, practical walk in shower. 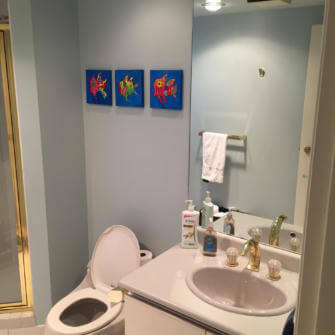 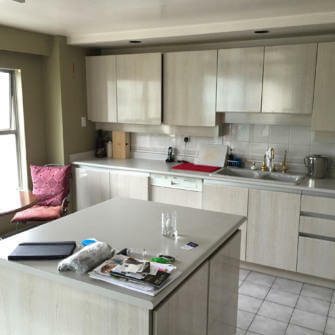 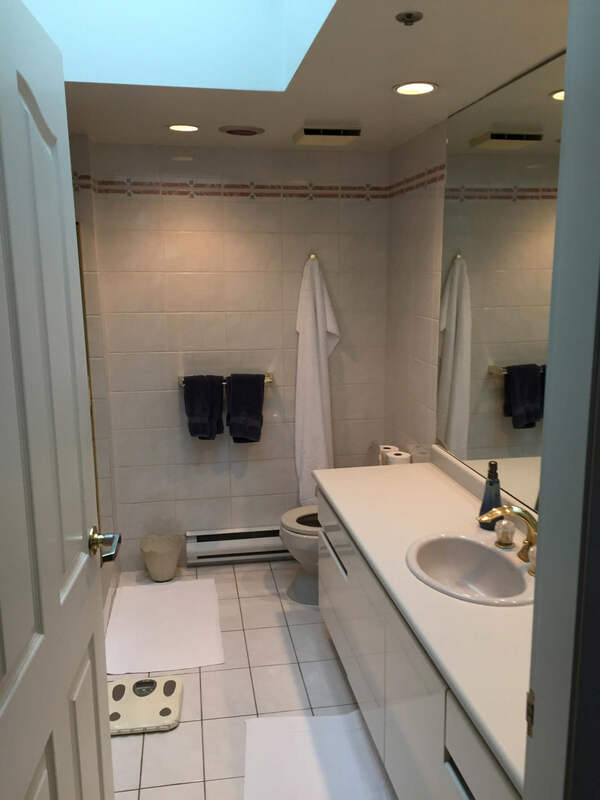 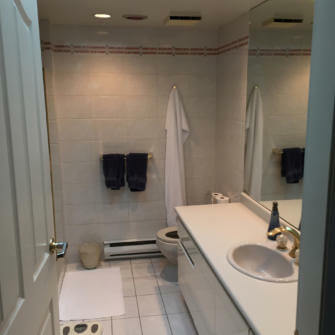 In the ensuite, one sink was replaced with two. 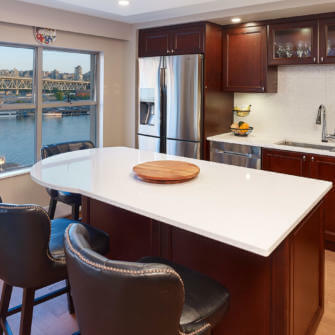 The kitchen island, now extended, has space for guests to gather around and take in the great views. 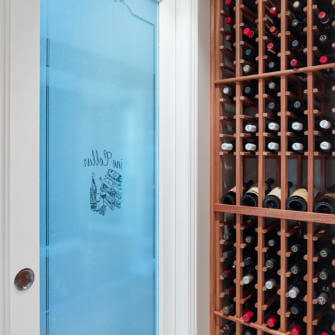 The walk in closet was reduced to allow for a wine rack to be housed in the laundry area. 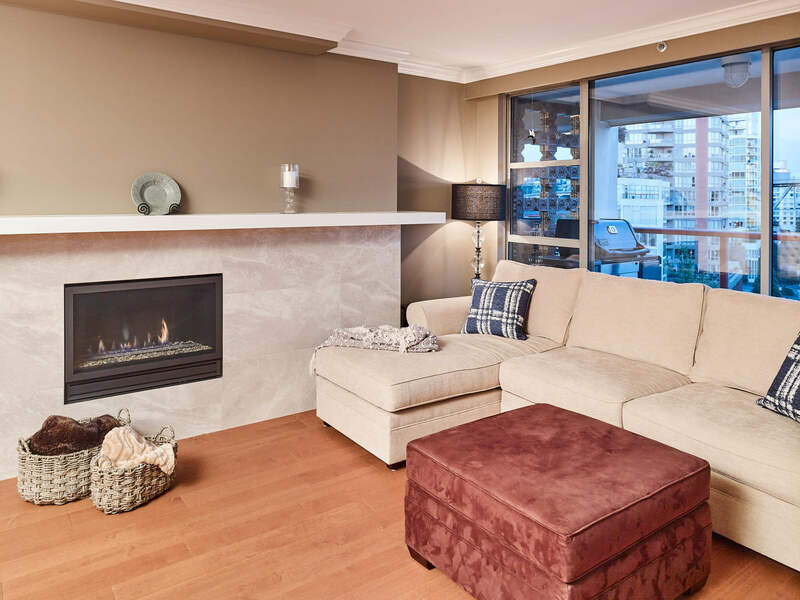 Focal fireplace, a real show stopper is made of practical porcelain. 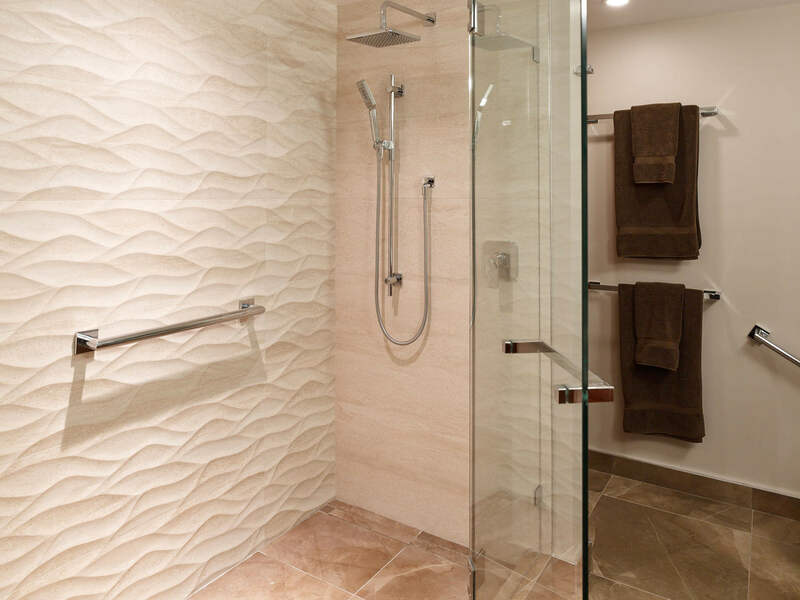 Ensuite textured tiles replicating carved stone add class and style. 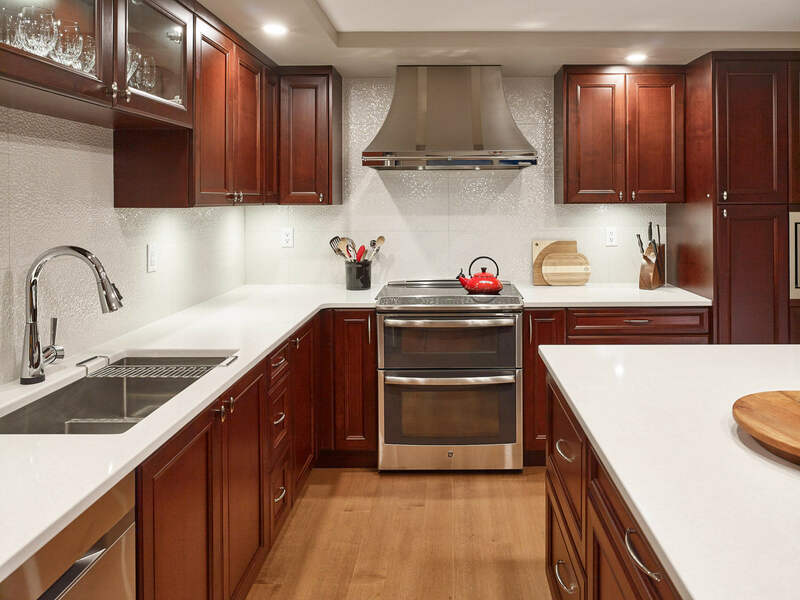 The kitchen is a mix of large format shimmering tiles, rich alder wood contrasted with the sleek hood fan and appliances to match. 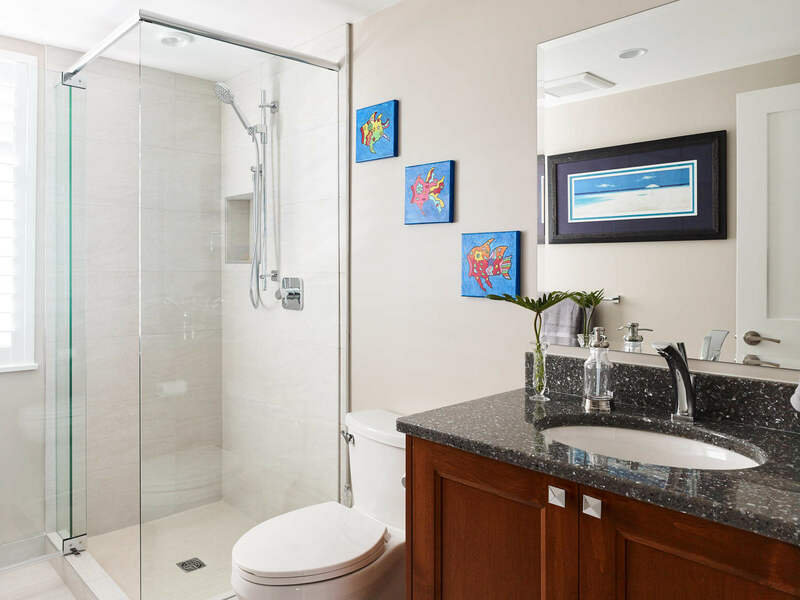 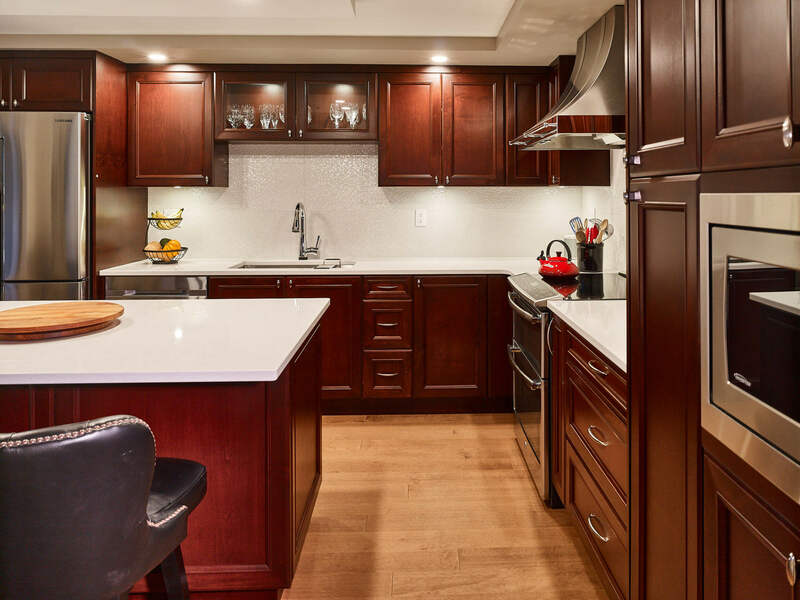 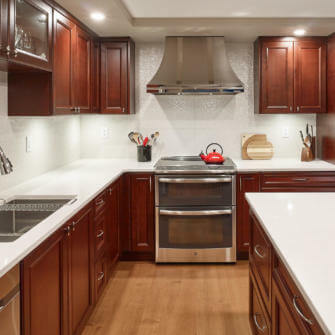 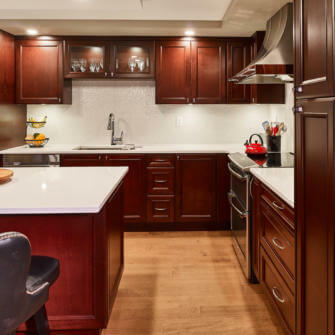 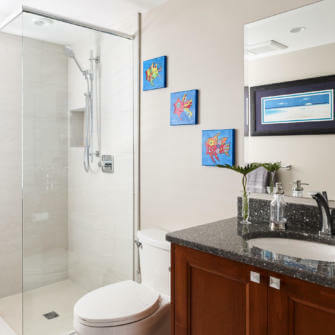 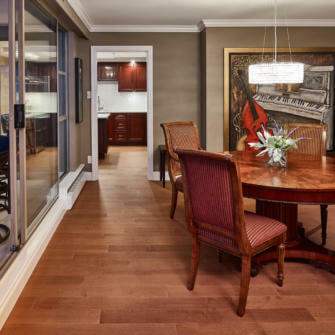 The etched maple flooring brings consistency to the whole condo while durable, Quartz countertops, used around the condo are unlikely to scratch, stain or soak up any liquids.